Frankenthal, August 7, 2017 – Matthias Kaufmann, Member of the Executive Management Board of the RKW Group, has decided not to renew his existing contract due to differing views concerning the strategic direction of the company. He will leave the RKW Group on August 31, 2017 on mutually amicable terms with the Supervisory Board and the Executive Management Board. Since 1998, Matthias Kaufmann has held a variety of positions in the Group. In 2010 as Vice President, he took responsibility for the Consumer Packaging business. In January 2013, he was appointed to the Executive Management Board and since then has headed the Division Packaging as well as the central functions Sales, Marketing & Communications as well as Sustainability and R&D. Between 2009 and 2013, Kaufmann was responsible for the setting-up of the production plant RKW Egypt, which laid the cornerstone for the company’s expansion in the Middle East. Under his stewardship, the packaging business was strengthened and the product portfolio optimized. He drove the expansion of the Site in Vietnam and by transferring technologies also created the basis for further growth in South-East Asia. As a Member of the Board, Mr. Kaufmann played a significant role in the development of the company’s RKW 2025 strategy as well as the increase in the Group’s operating profits since 2012. “We regret Mr. Kaufmann’s decision and thank him for his long and successful work for the company and wish him all the best for his private and professional future,” says Dr. Rudolf Wehrli, Chairman of the Supervisory Board. The RKW Group is an independent, family-owned company headquartered in Frankenthal, Germany and one of the world’s foremost manufacturers of excellent film solutions. RKW is the market leader in the areas of hygiene and agricultural films, films for the beverage industry and packaging for powdery goods. In addition, the company makes films and nonwovens for medical applications, for the chemical and converting industries as well as for the construction sector. RKW’s sustainable films enable its customers to improve the daily life of consumers all over the world. In the fiscal year 2016, RKW generated total sales of EUR 902 million. About 3,000 employees process 380,000 tonnes of plastic materials at more than 20 locations around the world. True to the corporate slogan “When excellence matters”, the company, which was founded in 1957, offers outstanding performance in terms of quality and service. 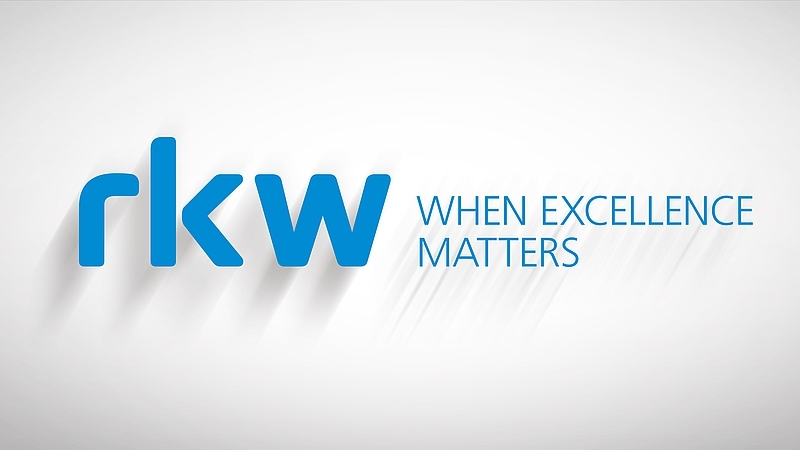 Respect and reliability are the core values of RKW and form the basis of the company’s success.